The Street Arts Festival in Mostar, Bosnia & Herzegovina, has existed since 2012, and it is part of a positive social movement in the postwar divided city. 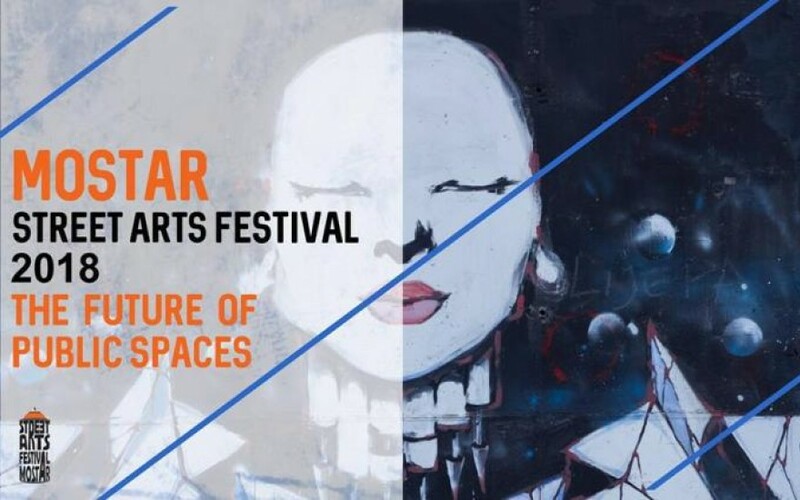 The festival aims to bring new talent and art to the streets of the city, redefine public space and foster a network of artists from all over the world. At the same time, it revitalizes the abandoned spaces and ruins into art and makes the town Mostar with its more than 100 murals one of the largest open-air galleries in the region. In the early days of the festival, organisers were motivated by the desire to revamp the city's crumbling grey walls and battle-scarred buildings, as well as erasing the nationalistic messages peppered with hatespeech that lured from the city facades. The festival brings positive social reactions between people. Now the citizens of Mostar help the festival with finding walls and they apply with their buildings and houses for painting murals. Based on the number of artists who are painting the walls of this southern Herzegovinian city and the interest that the graffiti and murals are evoking from tourists, it is clear that the festival is getting its international recognition. As part of the self-organized »WomEmpower« exchange one of the festival's main organizers, Marina Mimoza, and a group of young Bosnian artists is visiting Berlin for some days this September. They will show a film about the festival and give a short talk about it. Additionally, the performer and festival supporter Martina Martić will show a video of her performance in the mountains of Mostar. Artist Nardina Zubanović will give a presentation about »Psychical and Mental Spaces in Art«. The WomEmpower exchange addresses different problems like the invisibility of female activism and art in a patriarchal society, how to organise women through art and dialogue, and how political activism and art can be intertwined and help to support an emancipatory youth culture. Different female artists and activists from Banja Luka, Berlin, Bremerhaven, Cologne, Mostar, and Sarajevo take part in the exchange and shape WomEmpower. The project is supported by NFJ Berlin, Bridges Across Borders, and New Yorck im Bethanien.